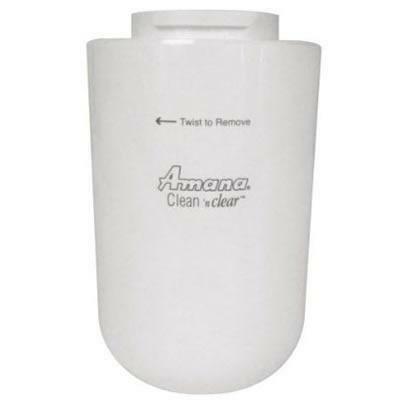 Amana® NSF® Certified refrigerator water filter with filter access inside the refrigerator. This filter retains beneficial fluoride, reduces cysts, chlorine taste and odor, particulates (class I), and lead. 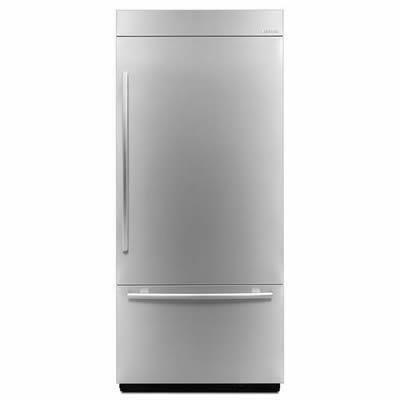 General Information: Amana® NSF® Certified refrigerator water filter with filter access inside the refrigerator. This filter retains beneficial fluoride, reduces cysts, chlorine taste and odor, particulates (class I), and lead. Replacing this refrigerator water filter every 6 months ensures clean, safedrinking water. 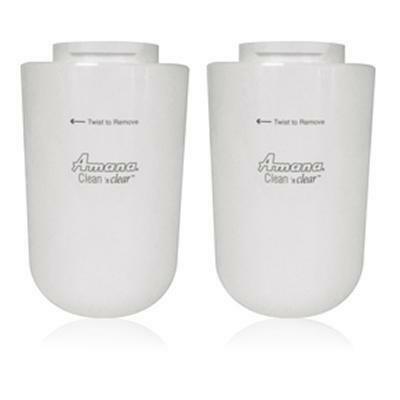 General Information: This 2 Pack Refrigerator Water Filter is used in Amana® refrigerators with filter access inside the refrigerator. Simply turn the Refrigerator Water Filter to remove and replace. While retaining beneficial fluoride, this NSF® Certified Refrigerator Water Filter reduces cysts, chlorine taste and odor, particulates (class I), and lead. 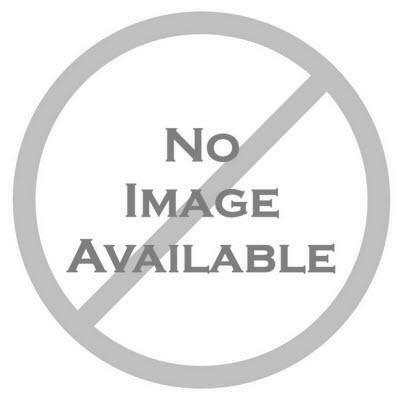 The contaminants or other substances removed or reduced by this water filter are not necessarily in all users' water. Replacing this Refrigerator Water Filter every 6 months ensures clean, safe drinking water. 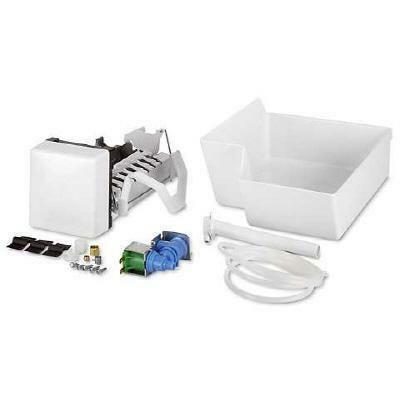 Amana Ice Maker Kit - IC13B/ Optional Ice Maker Kit For Amana And Maytag Refrigerators. 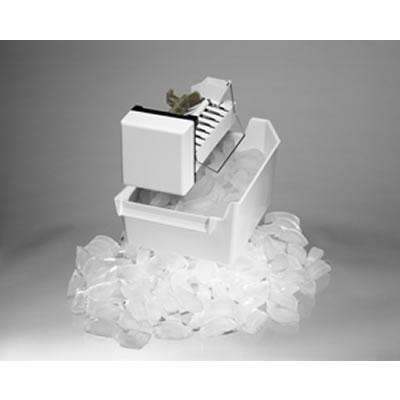 Add an ice maker to your compatible bottom-mount refrigerator with this ice maker kit. General Information: • Enjoy cold, fresh ice cubes at the press of a button. Ice maker for non-dispense 30?. 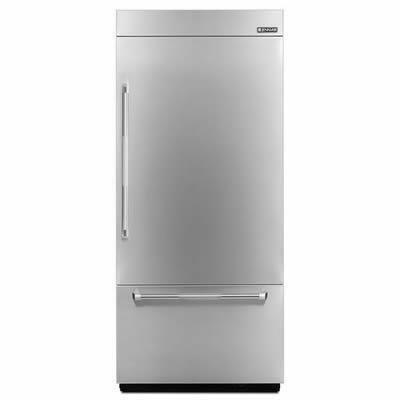 General Information: Ice maker for non-dispense 30. Every Drop ice maker water filter with an integrated 9 month filter. It also comes with a removal wrench. 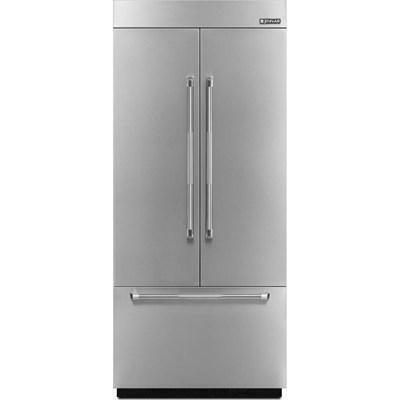 General Information: Ice maker water filter:Ice2 50 lb; 9 month filter and removal wrench included; Locking 1/4 Turn of water filter for ice machine. 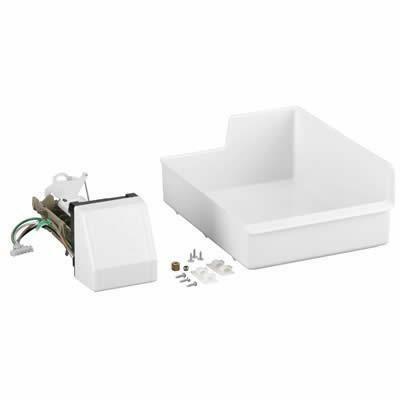 Ice maker kit for 24" wide refrigerator by Whirlpool. Can be used on the W1RXNGFX 11 cu.ft. 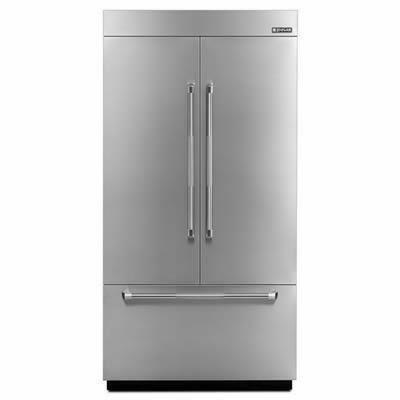 contoured door top-freezer refrigerator. 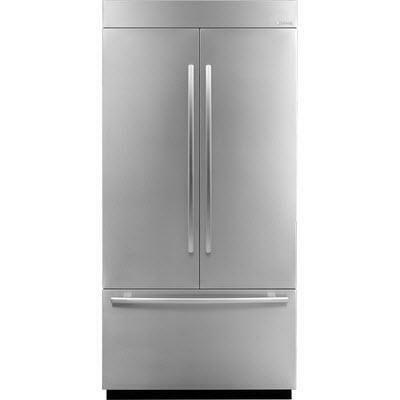 General Information: Ice maker kit for 24" wide refrigerator by Whirlpool. © 2019 Orsini's All Rights Reserved.